Mangroves at the edge of the Bay of Bengal. Mangroves at the edge of the Bay of Bengal on the S coast of Bangladesh. 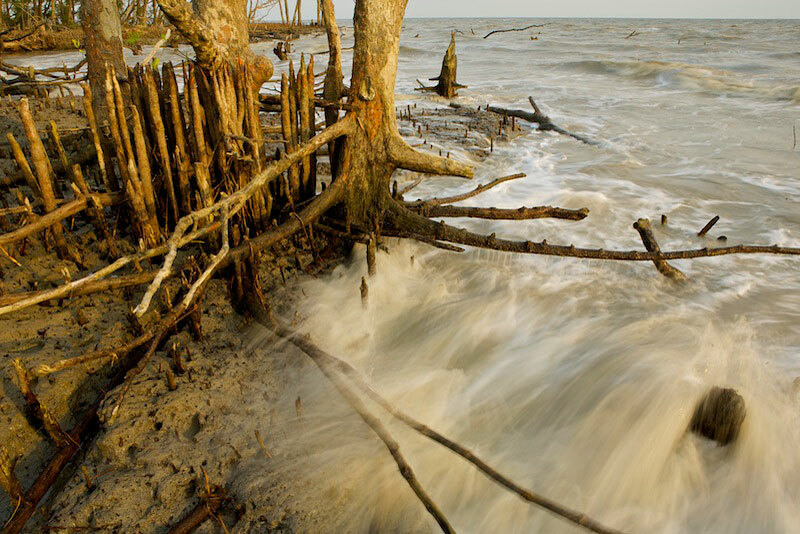 These mangroves are battered by the sea, but are important in protecting the coast from storms and erosion.